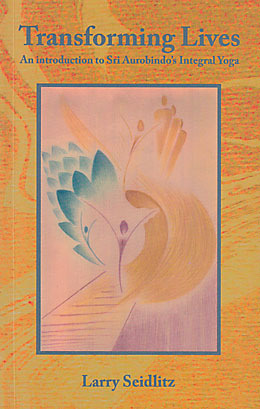 THE FIRST new publication in this issue is an introduction to Sri Aurobindo’s Integral Yoga titled Transforming Lives. Over the past ten years the author wrote articles on a variety of subjects that appeared in journals such as Mother India, Invocation, New Race, Śraddha, and Collaboration. 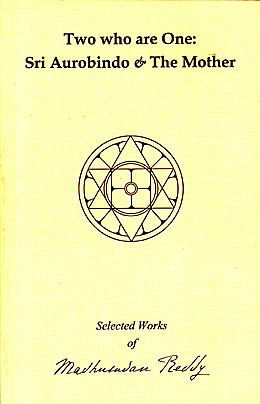 Collected in book form, they provide a balanced overview of Sri Aurobindo’s teachings, an examination of some of the basic practices and psychological attitudes of the Integral Yoga, some glimpses of the Mother’s work on the supramental transformation of the body, and a look at some specific subjects, such as spiritual activism and Integral Yoga, and how emotions can be transmuted and divinised through the discipline of Integral Yoga. The Institute of Human Study, as part of its Golden Jubilee celebrations, has brought out a series of five books of selected works by its founder, Prof. V. Madhusudan Reddy. The volumes represent the scope of his writings. Two who are One: Sri Aurobindo and the Mother is a testament to their identity of consciousness, vision, and path. 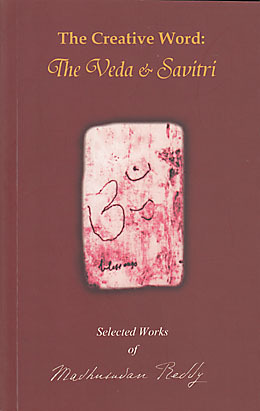 The book includes essays, poems, and dream visions on this theme. 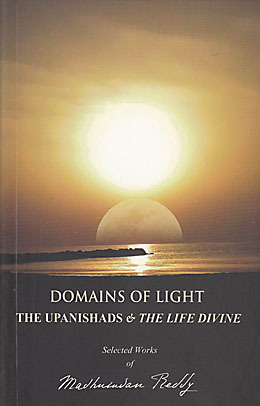 Domains of Light is a study on the Upanishads and The Life Divine. These selections expand on the hidden truths of the Upanishadic mantras as revealed by Sri Aurobindo, and his vision of a new destiny for humanity. The choice of essays in The Creative Word seeks to organise Prof. Reddy’s writings on the Veda and Savitri, linking these texts through concepts such as vak, sphota, and mantra. Essays on speech, sound, philology, and linguistics aim to deepen our understanding of the Vedic mantras and of Savitri. The Next Step in Individual and Social Development is a collection of essays based on two of Sri Aurobindo’s works, The Synthesis of Yoga and The Human Cycle. The focus is on individual human evolution and collective growth, offering a comprehensive view of the individual and society, their problems and possible solutions. 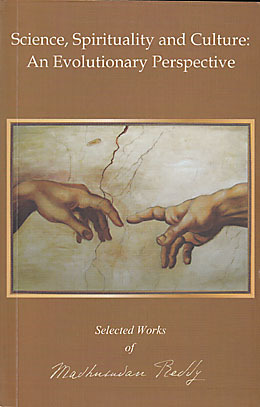 The fifth volume is titled Science, Spirituality and Culture and takes an evolutionary perspective on themes such as what the future science would be – a “science of spiritualised subjectivity and objectivised spirituality” –, and on the inevitability of the spiritual transformation of all material existence. Two new books from Auroville offer visual representations of its growth and development in specific areas. 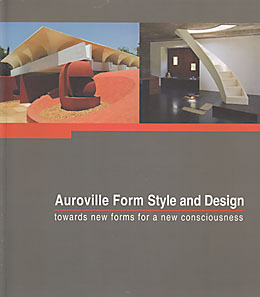 Auroville Form, Style and Design, a collection of 365 photographs, portrays a spectrum of Auroville design and style with pictures of interiors and details from homes, community spaces, gardens, and aesthetic products. The black-and-white photographs from the early years offer a vivid contrast to the colour, form, and evolving style of its public and private places today. Texts by Sri Aurobindo and the Mother accompany the photographs. The second book, Landscapes and Gardens of Auroville, contains 310 photographs and accompanying text that delineate the evolution of Auroville’s green spaces: its gardens and landscapes. 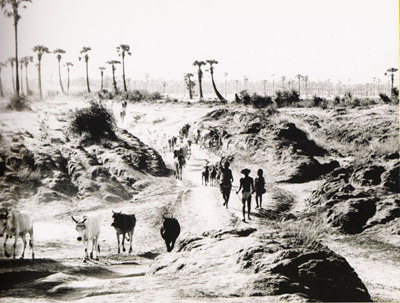 The first sixty pages show the history of Auroville’s originally barren and eroded landscape, which contrasts with the verdancy of its grounds and scenery today. This introductory book on the Integral Yoga is based on the author’s talks and papers, most of which have appeared previously in Ashram-related journals. The chapters highlight the basic teachings of the Integral Yoga, its contributions to the Indian spiritual tradition, some of its methods and practices, and its concept of an integral psychological perfection. Other essays examine the nature of human emotions and how they are to be transformed to serve a higher truth, discuss the true foundations of a spiritual activism, and provide glimpses of the Mother’s work on the supramental transformation of the body. The book includes a glossary of yogic and Sanskrit terms. This book is part of a series that presents selections from some of Dr Madhusudan Reddy’s works. The author’s descriptions of Sri Aurobindo and the Mother as one are interwoven with his depiction of their common mission to supramentalise earthly life. This book is part of a series that presents selections from some of Dr Madhusudan Reddy’s works. The author seeks to establish parallels between the Upanishads and The Life Divine, elaborating upon the secrets of the Upanishadic mantras as revealed in Sri Aurobindo’s work. This book is part of a series that presents selections from some of Dr Madhusudan Reddy’s works. The author expands on Sri Aurobindo’s insights into Vedic terminology and the power of the Creative Word. Dr Reddy expatiates on Word, speech, sound, philology, and linguistics to further our understanding of the Vedic mantras and of Savitri. This book is part of a series that presents selections from some of Dr Madhusudan Reddy’s works. Sri Aurobindo’s individual and collective psychology, and his views on the evolving human unity, are discussed and elaborated upon in two parts. The emphasis is on the individual change of consciousness leading to the evolution of a spiritual society. This book is part of a series that presents selections from some of Dr Madhusudan Reddy’s works. These chapters reflect the author’s Aurobindonian perspectives on the congruence of science and spirituality. The author attempts to demonstrate Sri Aurobindo’s views on how science, spirituality, and culture are interconnected. This is a collection of 365 mostly colour photographs that depicts interiors and details of Auroville homes, gardens, and products. It includes pictures of such buildings in Auroville as the Matrimandir from the time it was a work-in-progress up until its completion, the Last School, and Aspiration. The photographs are accompanied by text excerpted from Sri Aurobindo’s The National Value of Art and from the Mother’s writings. These pictures capture the outward expression of the unique consciousness of Auroville. This book, printed entirely on art paper, presents Auroville’s gardens and landscapes in 310 photographs, with accompanying text from various sources. 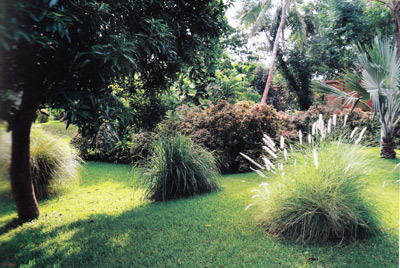 Many of the gardens featured in the book are inspired by Japanese garden design. 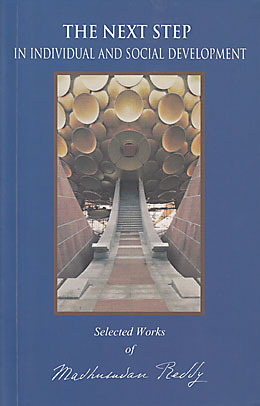 The book contains essays and pictures on such themes as the creation of the Matrimandir gardens, Auroville’s afforestation work, and the water challenge facing the community. 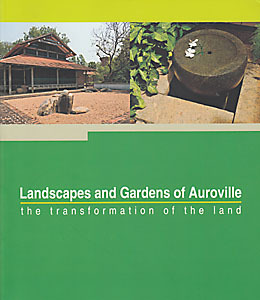 The first sixty pages depict the history of the development of Auroville’s landscape. This book contains conversations of the Mother with members of the Sri Aurobindo Ashram and the students of the Ashram's school. During this year the Mother answered questions about two works of Sri Aurobindo: The Synthesis of Yoga (Part One) and Thoughts and Glimpses (first part). First published serially in the monthly review Arya between August and November 1918, these essays examine the spirit behind the Indian social and cultural resurgence that had begun a few decades earlier. Sri Aurobindo describes the ancient spirit and characteristic soul of India as having an ingrained spirituality, an enormous vitality and prolific creativity, and a strong intellectuality which sought the inner truth and law of each activity. He envisions a rebirth of this spirit in a new body of energy and in a new form, suffusing all aspects of Indian life  art, poetry, politics, science  indeed, all forms of human activity.  Selected passages from Sri Aurobindo's "The Life Divine"
These essays on the philosophy and method of self-discipline presented in the Bhagavad Gita were first published in the monthly review Arya be­tween 1916 and 1920, and were revised in the 1920s by Sri Aurobindo for publication as a book. In The Synthesis of Yoga Sri Aurobindo discusses at considerable length the three great yogic paths of Knowledge, Works, and Love. In the final part of the book, “The Yoga of Self-Perfection”, he describes his own system of yoga, known as the Integral Yoga, through which his philosophy of supramental transformation and conscious evolution could be empirically practiced in life.